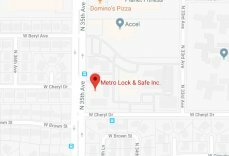 Locksmith Sun City| AZ 85345 – Metro Lock & Safe Inc. Need help unlocking a door or safe? We provide affordable pricing for all our services. All of our locksmiths are experienced and licensed. Prompt service that works with your schedule. If you’ve been locked out of your home or business, call the experts at Metro Lock & Safe. Our techniques are proven to work because they come from the best lock experts in the industry. Home service professionals should always respect your property, no matter the issue or time commitment. We do. Our entire locksmith team has a stake in the community, which is why we’re the best in the area. This charming community is part of the Sun Community franchise. Built in the 1960’s as a retirement community, this portion is reserved for active 55+ adults.